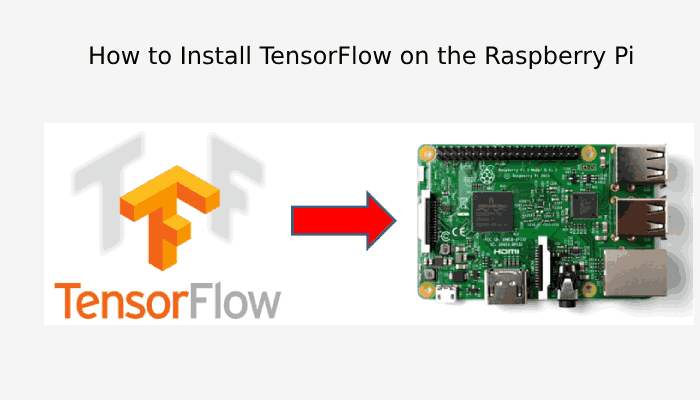 In this video below you will be explained on how to install Google's Machine Learning Framework: Tensorflow on the Raspberry Pi. By following the instructions that are briefly mentioned in the below video you will be able to make the use of Tensorflow on your Raspberry Pi for Machine Learning Applications such as using Image classification in order to identify the type of animal in the picture. The sequel to the video will show its viewers on how to set up object detection on the Raspberry Pi to detect and identify various objects and live video feeds. The Instructions mentioned in the below video have been taken from San J Abraham on GitHub to which the link has been mentioned in the end of this article. Since the guide hasn't been updated in quite a while so there are several changes that are required to be made in order to get things to work with the more recent versions of the installation tools. An SD card that is at least 16GB with several GB's of free space available in it. Also, you will need a blank USB flash drive that has at least one GB of free storage space present. Finally, Testing of your Installation. For this tutorial, the Raspberry Pi model 3B with a fresh installation of raspbian stretch version 9 has been made use of. Also, the viewer can see the instructions on how to install the latest version of raspbian on the raspberrypi.org website. This tutorial is also supposed to work on a Pi model 3B+ or a model 2. Tensorflow itself will be built as well as installed for Python 3 rather than Python 2.7.